When selecting pipes, it is important to select the type of pipe suited to your water source, environment conditions and water distribution method. This will optimise the performance of your irrigation system and ensure its longevity. At Water Dynamics we sell over 1 million meters of pipe each year, both as part of commercial irrigation projects and as individual pipes. 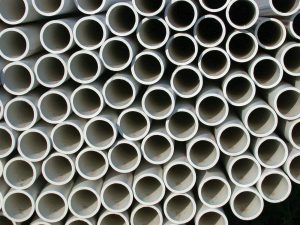 PVC pipes are durable, easy to install and designed to ensure optimum flow. They have a high strength to weight ratio and are ideal for both irrigation and wastewater purposes. Our PVC pipe range is available up to 6m in length, with varying diameters and pressure ratings. 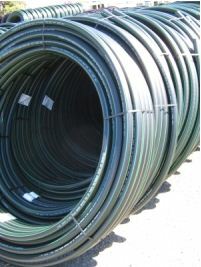 Polyethylene pipes are flexible, available in a range of sizes and are ideal for irrigation, reticulation and stock watering. They are corrosion resistant and flexible, allowing them to withstand movements underground. Our poly roles are available up to 200m in length, with varying diameters and pressure ratings. Metal pipes are used where rigid pipes are required for example in some bore pump applications and in some above ground applications. We supply a range of reliable, high-quality hoses and fittings that deliver water with minimum waste and loss. From retrieving and pumping bore water to irrigating your crops, our hoses have been developed to perform in demanding Australian conditions. They’re are easy to handle and repair, backed by market leading warranties and available in a range of lengths. Our stores stock over 500,000 fittings, for both new irrigation projects and for replacement fittings. Fittings are a vital part of an irrigation system and assist in ensuring minimal leakage throughout your irrigation system. We therefore supply our fittings from industry leading, global brands only. Within the above ranges we stock tees, elbows, clamps and punches, adaptors, joiners, crosses and end stops, plugs and more. Want to know more about the types of pipes, hoses and fittings we offer? Call us today on 1800 571 812.